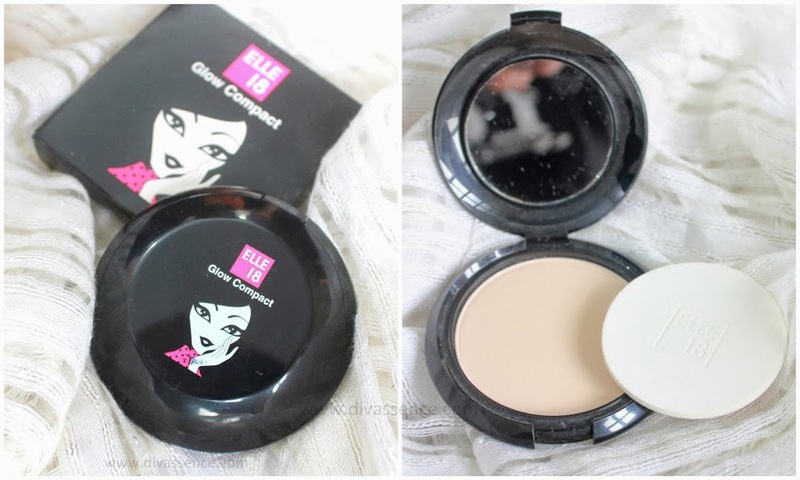 Elle18 Glow Foundation, Glow Compact, Liner and Juicy Lip Balm: Review/Swatch - Divassence! Elle18 as a brand in India can be compared to WetnWild or MUA Cosmetics in terms of affordability. When the brand decided to venture into base makeup and introduce new liners and glosses, I was obviously excited to try them! 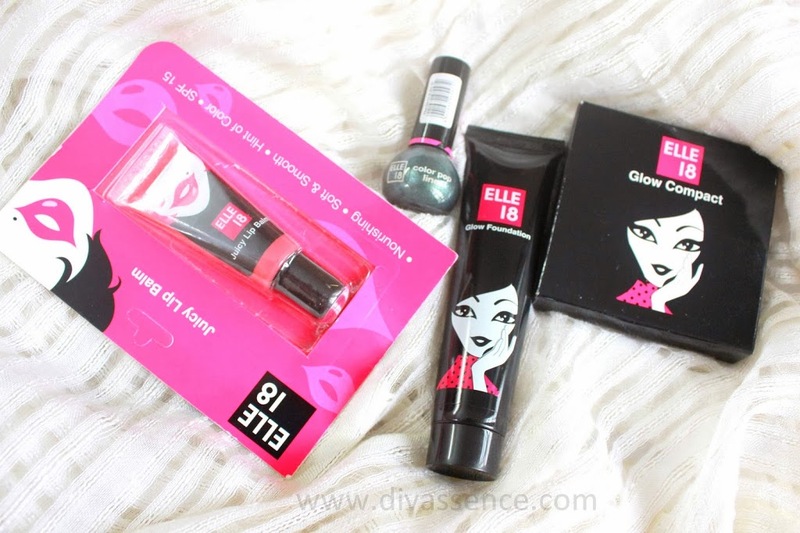 Leaving chit-chat aside this time, let me get on to the reviews since I have not 1, but 4 products from the Elle18 range to show you guys! Before I go on to the reviews (yes, there is a pause here!) I was completely impressed by the packaging! Take a look at it for yourself. It is black yet girly!! This exciting & funky range of color cosmetics has been specially designed for young trendy girls. Packaged in cool bottle shapes, the Elle18 color bombs are little goblets specially designed to deliver a pop of rich intense colors. With the goodness of Cocoa butter, Jojoba Oil, Rose Water and Almonds, the Elle18 range of cosmetics offers consumers an array of bright colors to complement any outfit. The super cute range not only looks good but feels great to carry along anytime anywhere. Packaging: The foundation comes in a tube like the now popular BB and CC creams. My thoughts: Elle18, as a range targets college goers, who would not like to wear makeup without burning a hole in their pockets. Well, if I was in college or I was new to makeup, MAYBE this foundation would have worked for me because the coverage is very sheer compared to the BB, CC creams and foundations available in the Indian market. As a 26 year old, this foundation did not work for me for very obvious reasons. As mentioned earlier, the coverage is very sheer and the foundation doesn’t set to any finish, thus making it difficult for someone to even kiss you on your face (considering the foundation might stick to their mouth and that is a totally pathetic and embarrassing situation and nope I haven’t experienced it. Spare me, it’s just an example!) So if you are wearing this foundation, make sure you think twice before bringing anything in contact with your face unless you want to spread the foundation love. It did not brighten my skin nor did it cover any flaws. Shades available: 4 – Pearl, Coral, Marble and Shell. My thoughts: The compact is something I really like, considering I’m using it everyday for work now and it works very well on my dry skin. It is not a matte finish powder and sets foundations nicely and stays on for 4-5 hours. If you wear a long wearing foundation and use this on top it should last you the entire day, without giving you a matte finish. It works more like a translucent setting powder. This compact is good for those of you who do not want a heavy coverage with respect to compact and want something to set your base makeup. I also use it to set my concealer since it does not have a drying matte effect. 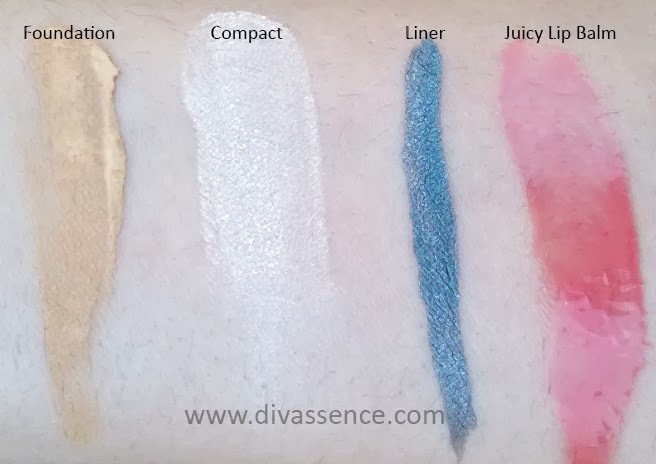 Packaging: The liner comes in a small transparent bottle, which means the color is visible and it comes with a thin liner brush in the inner part of the cap. 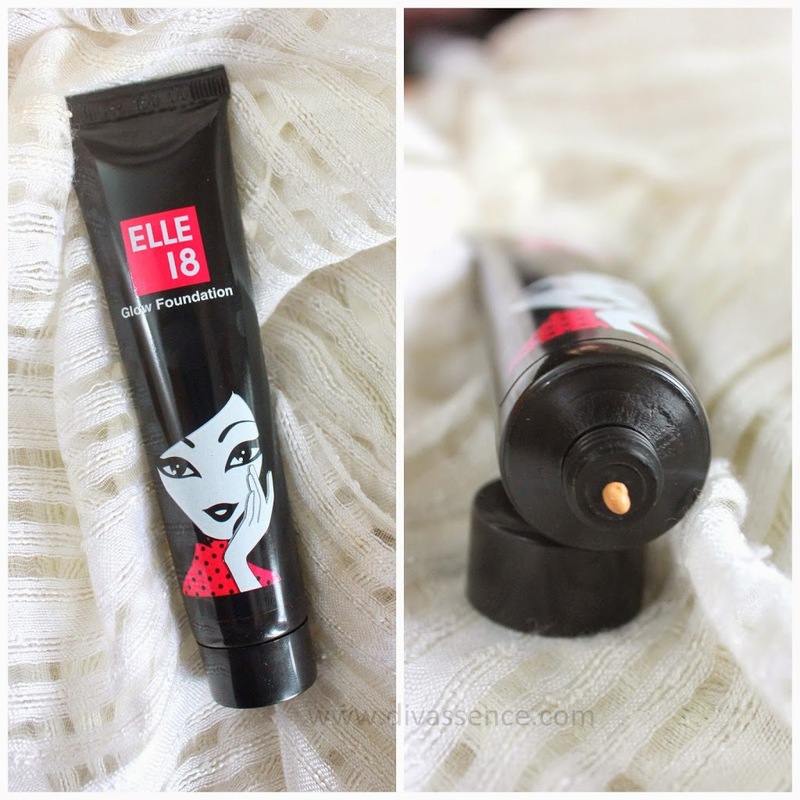 My thoughts: The Elle18 liner, have gotten mixed reviews till now and I find that the green one I’ve received is a really good liner! 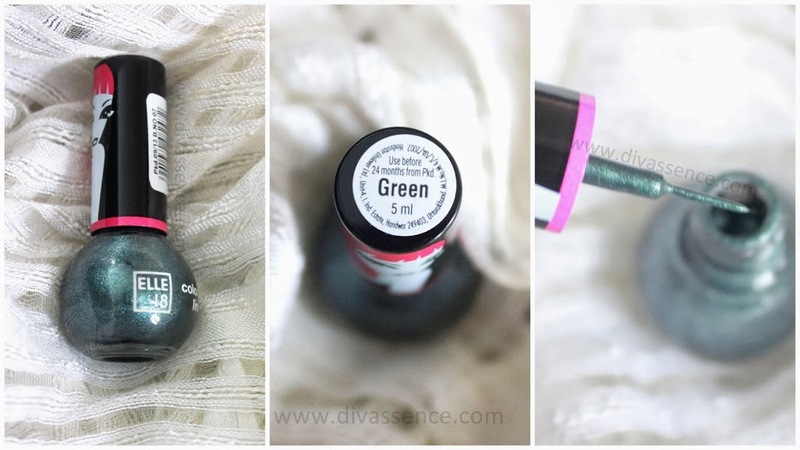 The color is more of a bluish-green color with an overdose of shimmer and I find that it lasts longer when a primer is applied prior to lining the eyes. I find that this particular liner is good in quality and worth the price!! A lip balm is the quintessential beauty must have for the young woman of today. The Elle 18 Juicy Balm is a non-sticky balm with Vitamin E, Olive, oil and Jojoba oil to ensure nourishing, soft and smooth lips. The juicy lip balm is the perfect combination of color and care to ensure you have lip smacking pouts always. Packaging: The lip balm comes in a plastic tube and generally these sort of plastic tubes have a slanted base with a nozzle through which the product comes out. The slanted base is said to make application easy since it covers a wider space. My thoughts: Since it is called a lip balm, it gives a hint of color when applied on the lips as compared to when swatched. If you have pigmented lips then there might be jsut a very slight hint of color with all the glossiness this particular lip balm provides. Juicy Berry is a pinkish berry shade and would be just right for a fresh look to college! 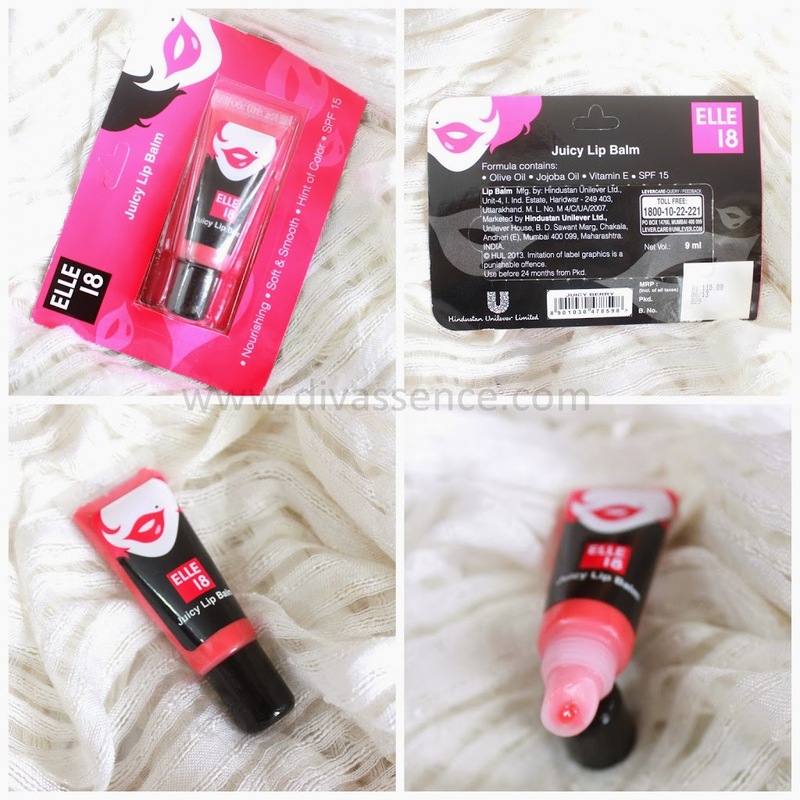 The lip balm glides on smoothly, feels slightly sticky and stays on for about 2 hours maximum. 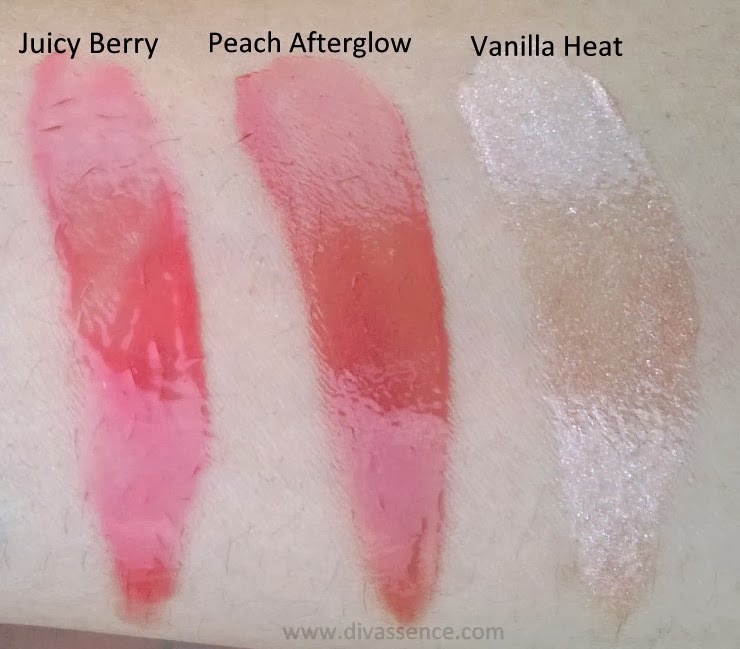 Compared to their lip smoothies which were available earlier, although they came in similar packaging, the texture and the quality as such is different. I hated the lip smoothies but I find these lip balms way less stickier and they do not have the scent which the lip smoothies had. Final Word: The Elle18 range has a few hits and misses. 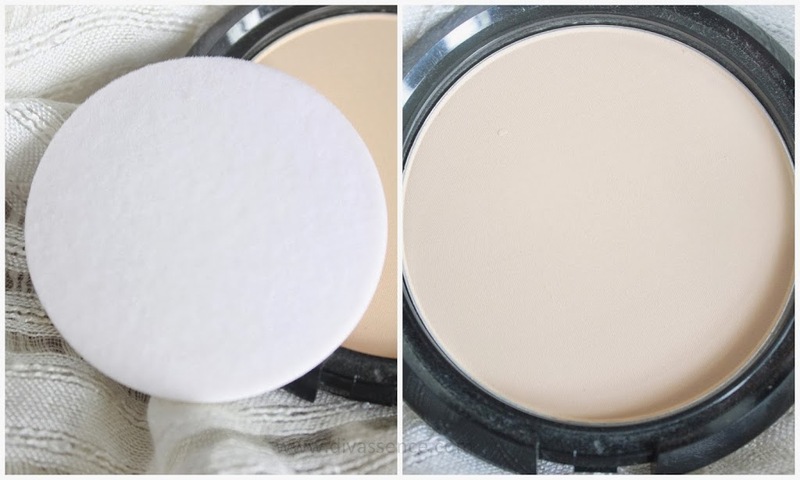 If you have dry skin and want a setting powder, then the compact is a good buy. The green liner is also good for the price. The foundation is a miss and the staying power of the lip balm make it a miss for me. The products reviewed above was provided by PR for consideration. Divassence!’s priority will always be you! For further details check the Disclaimer.